Attracted by better opportunities and the chance to embrace learning, baby boomers are returning to college in droves, and even those who aren’t interested in enrolling in classes are moving to college towns for the intergenerational communities, diverse culture, and lively atmosphere. One of the many boomers who has enrolled in college for a second act, sixty-one year old Alan Moore, walked on to the football field at Faulkner University two years ago and became the oldest person to ever play college ball, according to The Week. Although few of his peers are playing ball, the transition to college is one that takes as much bravery and skill as football. If you’ve just decided to embark on this journey, know that you are not alone. The rest of your generation is right there with you, and it has many of the same concerns and worries that you have. Questions about lifestyles, moving, getting an adequate amount of guidance, and understanding the terminology can be daunting. Just because you don’t plan to rush a frat or ever do a keg stand doesn’t mean that you cannot find a comfortable lifestyle in a college town. Many college towns are designing communities to meet the needs of baby boomer students. AARP has a detailed list of retirement communities located on or near campuses in towns all over the country. You’ll find communities near top universities like the Holy Cross Village at Notre Dame, University Place at Purdue, and The Forest at Duke. You’ll discover dedicated retirement communities near numerous state higher education institutions as well. Before moving, contact the student services department at the institution you plan to attend and ask someone about living options. Saddled with debt for years, many boomers are selling their homes and moving to college towns, as The New York Times reports, but this trend isn’t the most affordable option for everyone. Some boomers who have paid off their homes or who enjoy their communities need to stay put, and this can make attending college a bit more difficult. Locating a program at Collegeonline.org allows you to complete your degree without having to move or sacrifice any of your current financial stability. Not all baby boomers are headed to college on an educational lark. Many are pursuing degrees to give themselves a leg up in the employment arena during the last decade and a half of their working years. Without the right support, this endeavor can be overwhelming. Programs like the Plus 50 Initiative are crafted to aid working boomers to complete a postsecondary degree. Thus far, Plus 50 has helped more than 24,000 students retrain for postmodern careers, according to Plus50.aacc.nche.edu. If your institution is not involved with the Plus 50 program, it may still have resources to support you. Rather than letting older students get lost in the shuffle, higher education institutions are concentrating on attracting and assisting them, as divulged by University Business. Kim Larson-Cooney of Arapahoe Community College posits that the sheer volume of boomer students makes it important to cater to them, while Robin Ambrozy of West Virginia University sites the generation’s unbeatable work ethic as the primary reason that colleges should work with these students. FAFSA (Free Application for Federal Student Aid) – Before starting your program, you must fill out this form to determine your eligibility for grants or low interest loans. Certificates vs. Degrees – Certificates are typically offered by community colleges, and they certify that you have an adequate amount of technical knowledge about a particular subject. 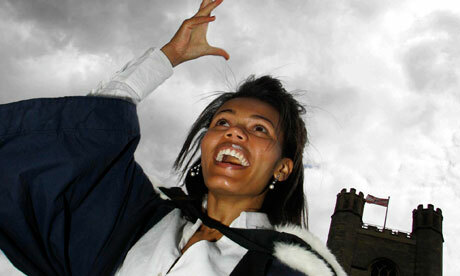 A degree indicates that you have studied a broad range of subjects with a focus on one. Whether you need a certificate or a degree depends on your career objectives. Transcript – This is a record of grades and courses from your previous schools. If older students cannot obtain old high school or college transcripts, some institutions will let them bypass that part of the application. Interdisciplinary – Rather than offering courses than can be clearly defined as history, math, or biology, colleges are now offering interdisciplinary or hybrid courses that mix different subjects together. At many schools, you can even make up your own interdisciplinary major. Work-Study – Work-study programs offering on-campus jobs for students who need an extra financial boost. Prepare to hit the books; the schools are ready for you.